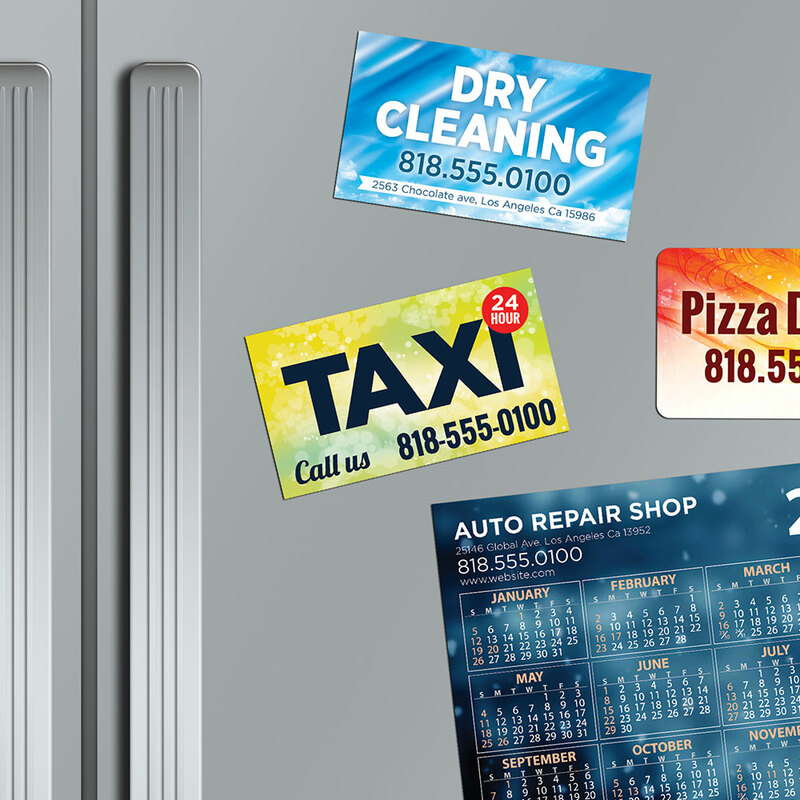 Give your brand, product or service staying power by advertising with Magnets! Printed on premium quality 17pt magnet-backed stock with UV on the front, magnets come in sizes ranging from business card size, to announcement card size. 2" x 3.5"/4" x 11"/4" x 3"/4" x 6"/4" x 7"/4" x 8"/4.25" x 5.5"/4.25" x 6"/5" x 7"/5.5" x 8.5"/6" x 6"